Many small businesses and start-ups neglect to spend the necessary time thinking about their brand yet it is a vital part of an overall business. Clare Downes, owner of Monkhouse Food and Drink, Shropshire, offers a deeper insight into why strong brands do not just happen overnight and require a lot more than just a logo. You can believe your product is good enough to sell itself and this could well be the case if a consumer experiences it directly. But how do you reach all of those potential consumers who you cannot meet face to face? Take a moment to consider your personal purchasing decisions and how much you are influenced by brand. Your understanding of how much you are influenced is based on how much you truly understand what brand means. A brand is not just a ‘pretty picture’. The pretty picture should be the sum total of everything a brand is. In order to create a truly great brand, you must interrogate exactly what sits behind, within and what the future holds for your brand. The first mistake often made when launching a brand is believing it is simply a creative job to produce a logo. Before you even consider creative design input, you need to engage in the process of looking at your business and what your brand means to you, and what you want it to mean, to potential consumers. Farms have had their own brands for centuries – signs at the end of drives, stamps on cheese coming out of farm dairies, family names associated with quality livestock and farming methods. Farmers even have their own personal brands through the heritage of their name within their local area and across the industry. This is something that is just part of how farming works. The first question is whether the history and heritage is valuable to the brand? 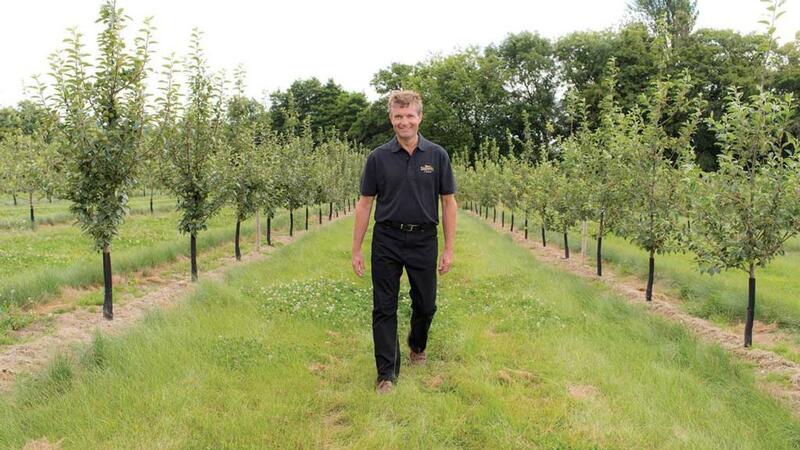 Not every farm is steeped in ancestry, but there is usually a story. Food and drink is a key area of farm diversification, whether using farm produce, regional produce, farm shop, cafes, reviving old skills or bringing family recipes to life. Consumers are increasingly questioning where their food comes from and farmers have the major advantage of genuine provenance. They have a real story to tell, whereas urban brands have to create this. Food and drink diversification is a good example to use to show how to effectively develop a consumer facing brand, although converted buildings for accommodation, conference centres, wedding venues all usually have a story too. The message here is to look at what you have and understand the potential value of this in developing your brand. Sometimes the simplest starting point is the best for brand development. Consumers have seconds to make decisions, so complexity does not help to sell products. A brand such as Nike uses a simple tick, but we all know that it means movement, energy, sport and this is just from the symbol equating to a truly powerful brand. 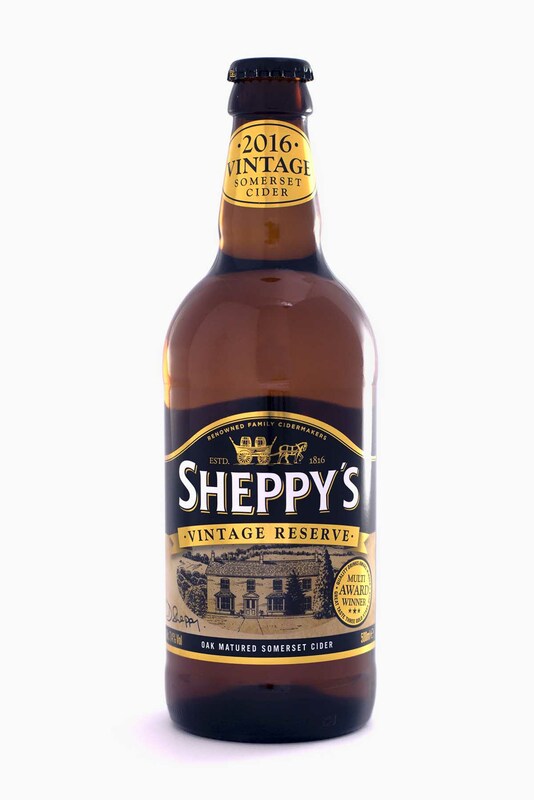 Sheppy’s Cider has been in Bradford-on-Tone, Somerset, since the family moved there in 1917. The name and location is now a fixed point of recognition among the local community and tourists. The enterprise is headed up by David Sheppy and they invested in a major rebrand in 2017, with the 200 years of expertise being central to their refreshed brand. The brand development capitalised on the skills built up over generations, without being old-fashioned. Before embarking on design, David and his team took time to look closely at their business. They reviewed their structure, objectives, product range, packaging formats, target consumer and where the cider market was going. The rebrand has been positively received and a new can format has recently launched too. He says: “We needed to appeal to the broad spectrum of cider drinkers in both retail and pub environments, from Somerset to central London and overseas, to introduce a contemporary brand relevant for today’s cider drinker, which was still steeped in history. “Research needs to be done before any design starts, so the design has a chance of doing its job. “A brand is so much deeper than the look and feel – in just a few seconds this look and feel must communicate the whole story. Preparation will help this to happen and is worth it. Good brand development is a skill in itself, and the stumbling block can often be that all business owners have a frustrated marketer within them and so do not take expert advice as they would regarding legal or financial concerns. Start asking yourself why you purchase what you do and what influences your decisions. What do you learn from brands that you pick up and what feeling does the brand give you? A brand is rarely ‘spot on’ from the very start and there are usually phases of development and relative cost, as two farming brothers, Jacob and Sam James, discovered as their product evolved. 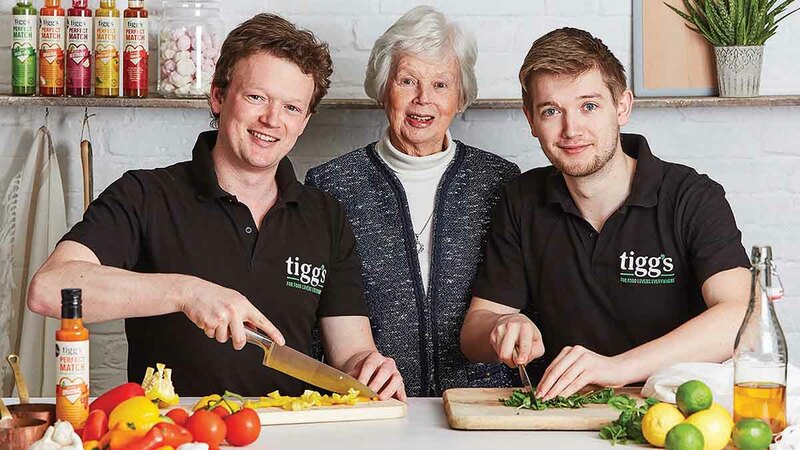 Inspired by their grandmother, who hails from New Zealand, the pair have used her recipe to establish a range of sauces to accompany foods. 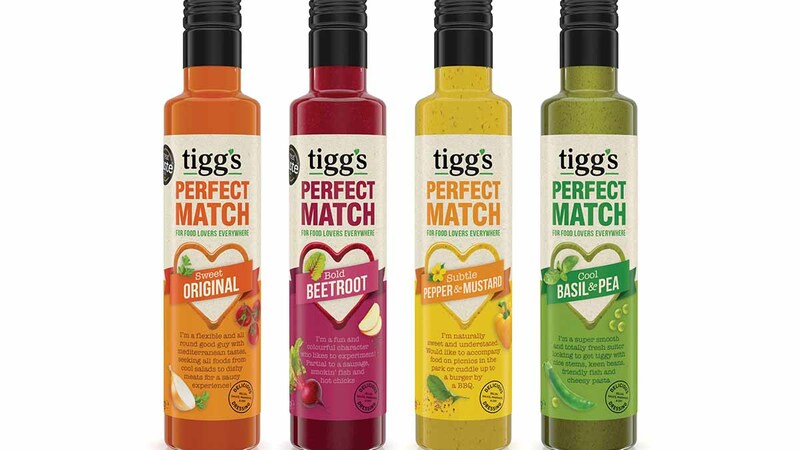 They are on the third version of their brand – Tigg’s, which is based on their family farm in Herefordshire – in three years. As they have learnt about their market and consumer, they have had to change their identity, to communicate clearly. Sam says: “The branding was initially agricultural. But we learned people shop with their eyes. Jacob adds: “The name of the sauce range, Perfect Match, is a play on dating. They are all quite fun, tongue-in-cheek and each one is trying to persuade you why they might be your perfect match. Fundamentally, branding is about creating an individual identity and increasingly, to guide consumers inadvertently in their purchasing habits. You cannot avoid it, so it is better to do it well. The definition of well varies depending on size, scale, focus and ambition of the business. Having some support to help you to clearly articulate this is often money sensibly spent further down the process. It is important to balance output with input and not become carried away. Brand development can become emotional. Try to avoid this – it affects the result, particularly in family businesses. Brand evolution never stops. See it as an ongoing part of your business development, interwoven through how you communicate, present and deliver with absolute consistency. Through online and social channels, increasingly continuous brand engagement is what consumers are looking for. They no longer just consume your brand, they want to participate in your brand. Your brand is integral to how you do business.